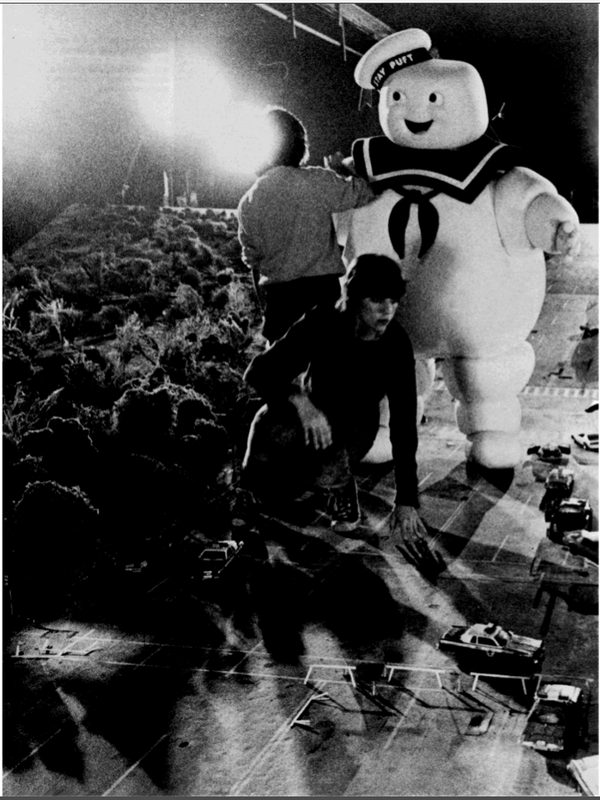 50 Amazing Behind-The-Scenes Photos From "Ghostbusters"
Celebrate the 30th anniversary of the greatest sci-fi/horror comedy ever made with these incredible behind-the-scenes photos. 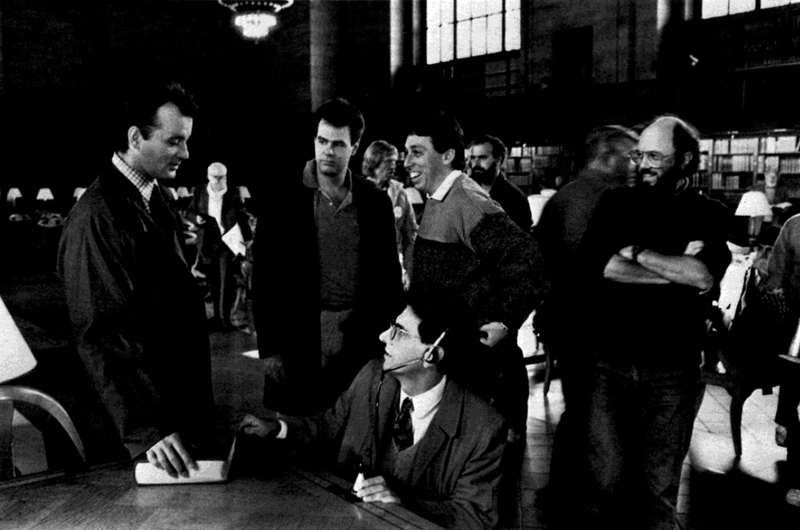 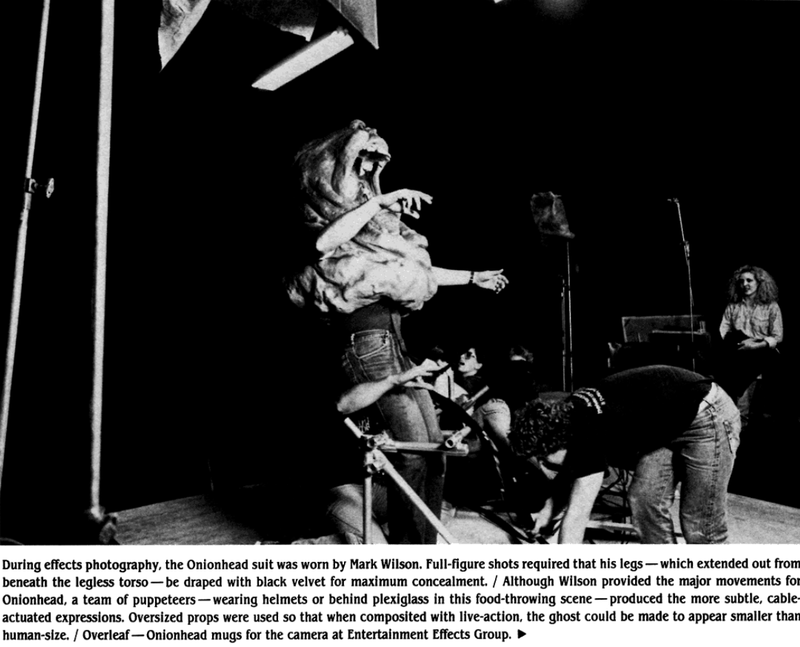 Following Bill Murray's recent Reddit AMA, a user uploaded some photos from the 1985 book Making Ghostbusters. 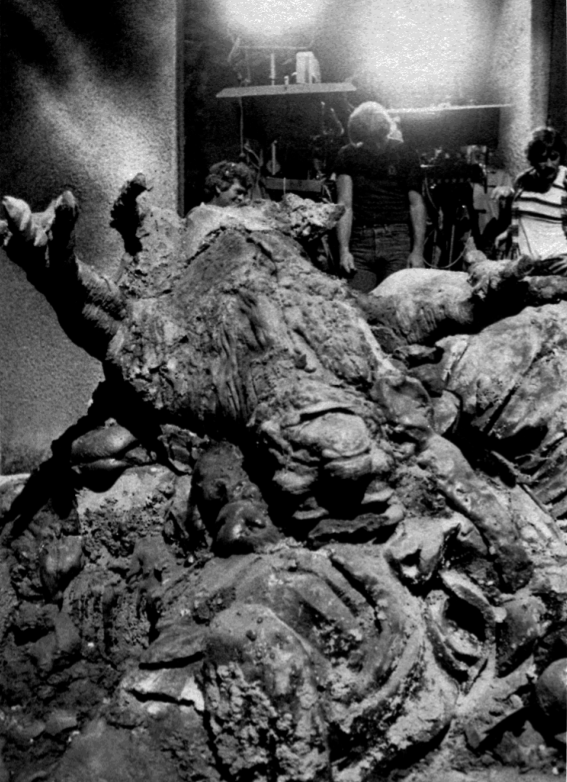 After seeing them, we guarantee you'll never watch the movie the same way again. 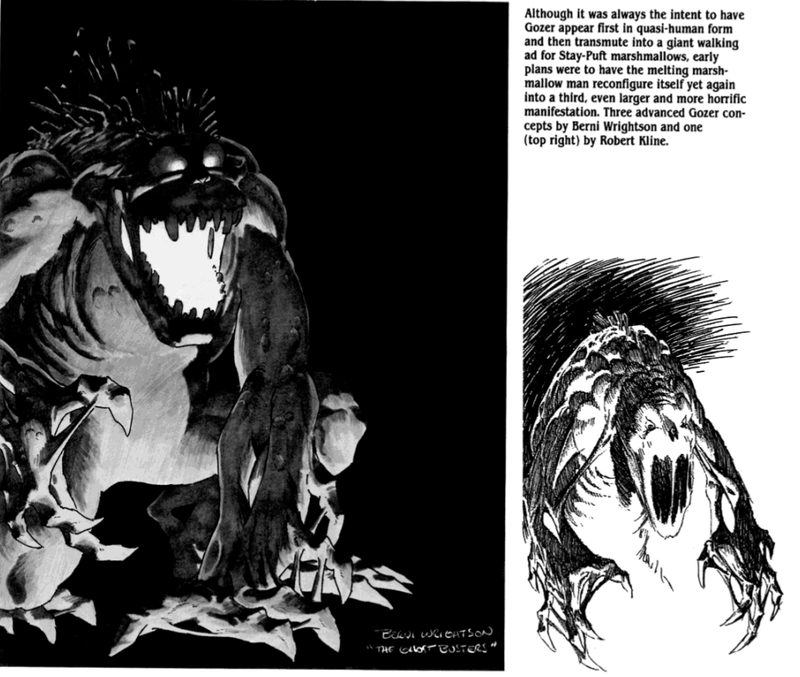 Comic book artist Bernie Wrightson (Swamp Thing) created some incredible ghost designs. 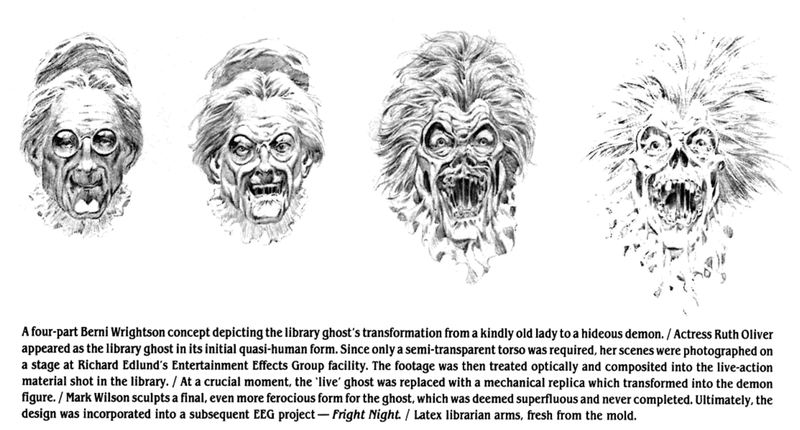 Here's his take on the library ghost transformation sequence. 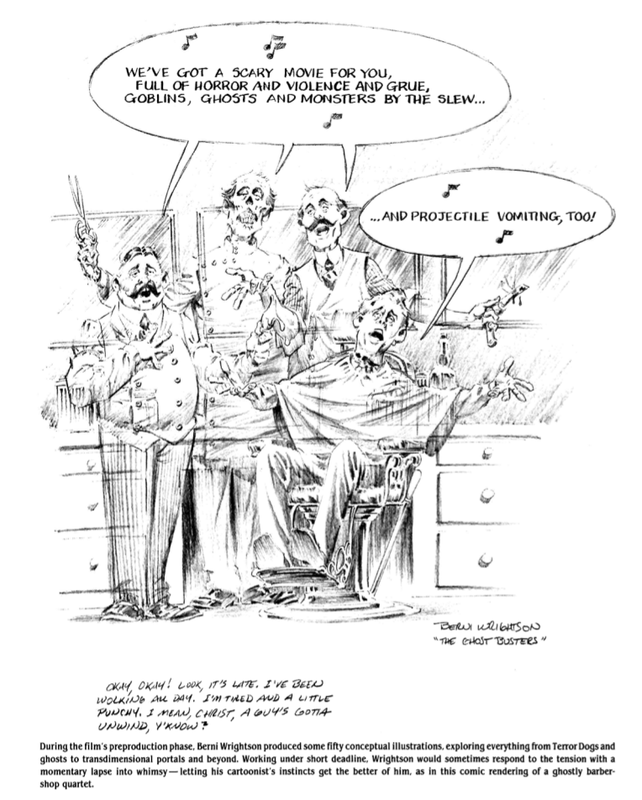 Some barbershop quartet ghosts, created by Bernie Wrightson to lighten the mood during preproduction. 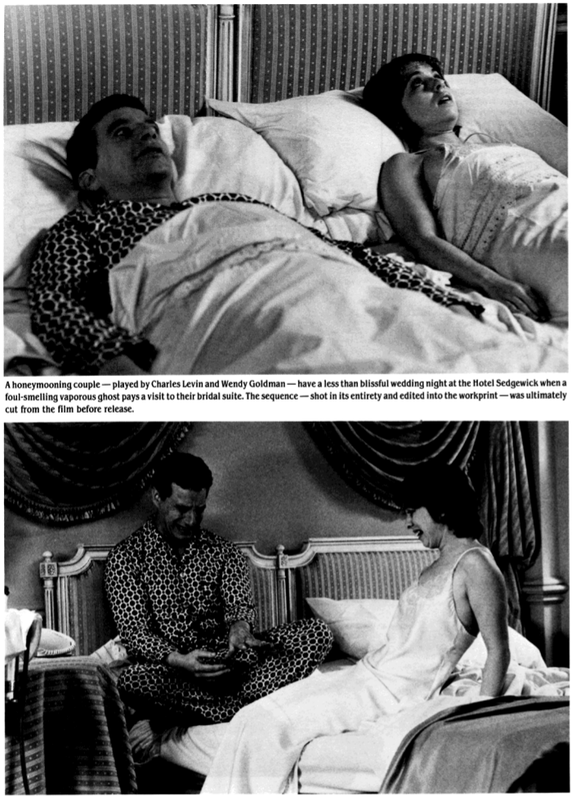 A honeymooning couple (Charles Levin and Wendy Goldman) meet Slimer at the Hotel Sedgewick in a sequence that didn't make the final cut. 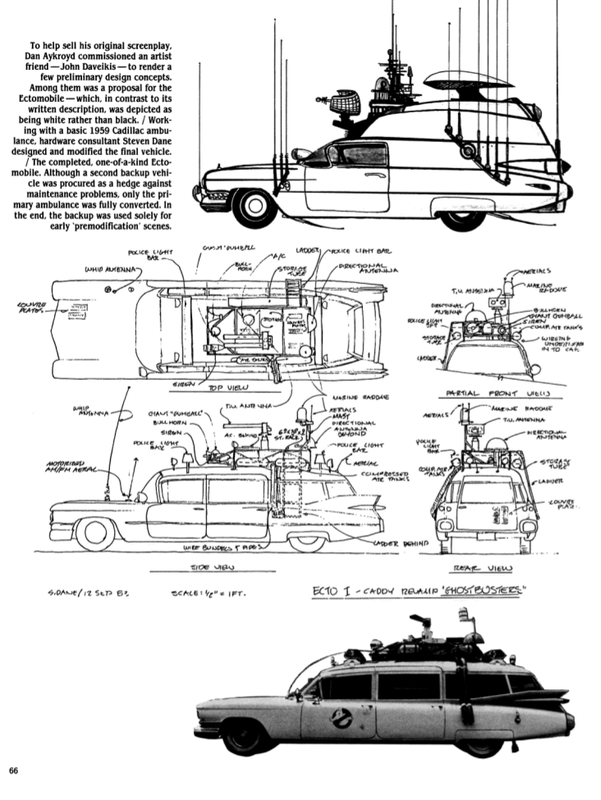 Early concept artwork (created by John Daveikis) of the Ectomobile that Dan Aykroyd used to help sell his original screenplay. 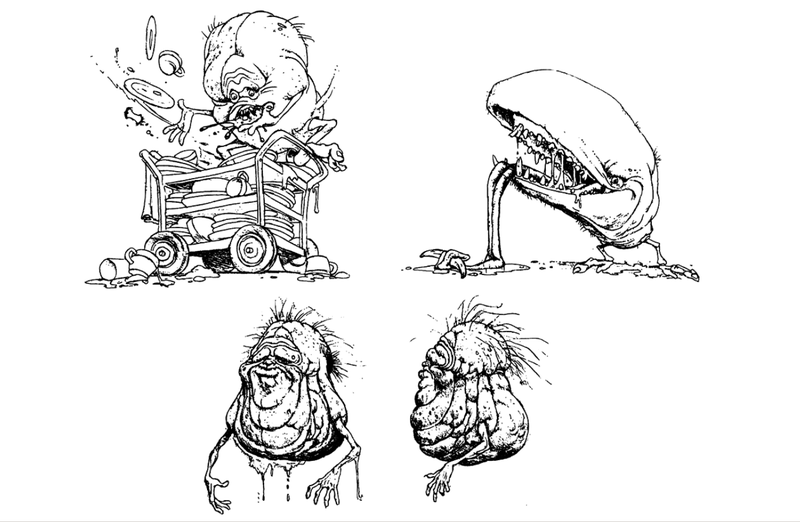 Early versions of Slimer and a ghost that didn't make the final cut. 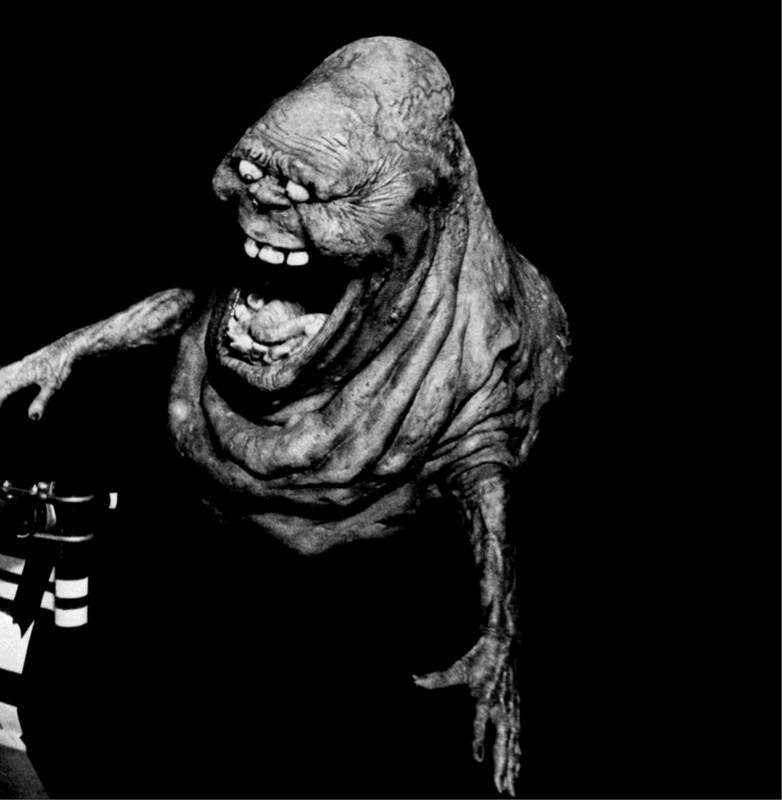 Slimer was originally called "The Onionhead Ghost" by the crew due to his foul odor. 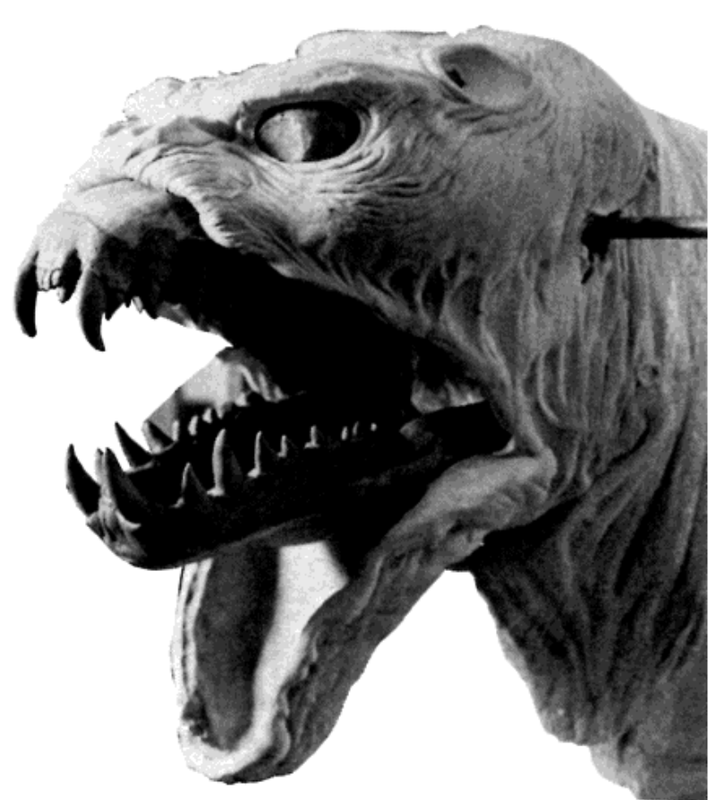 (He was unnamed in the script.) 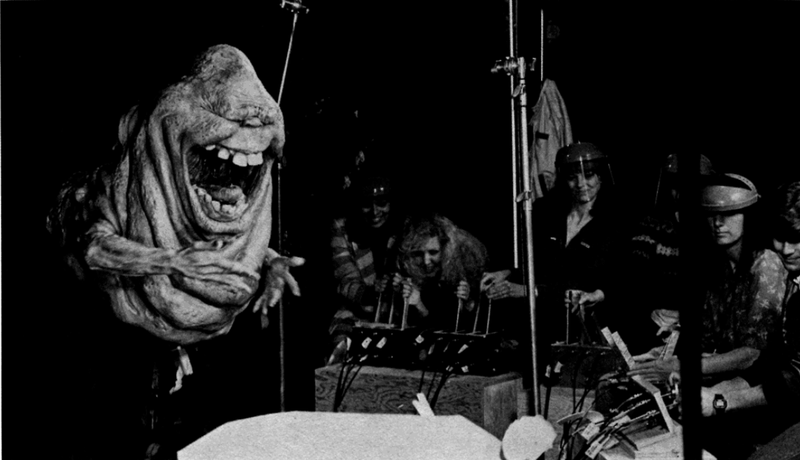 It wasn't until the Real Ghostbusters cartoon that he was officially named Slimer. 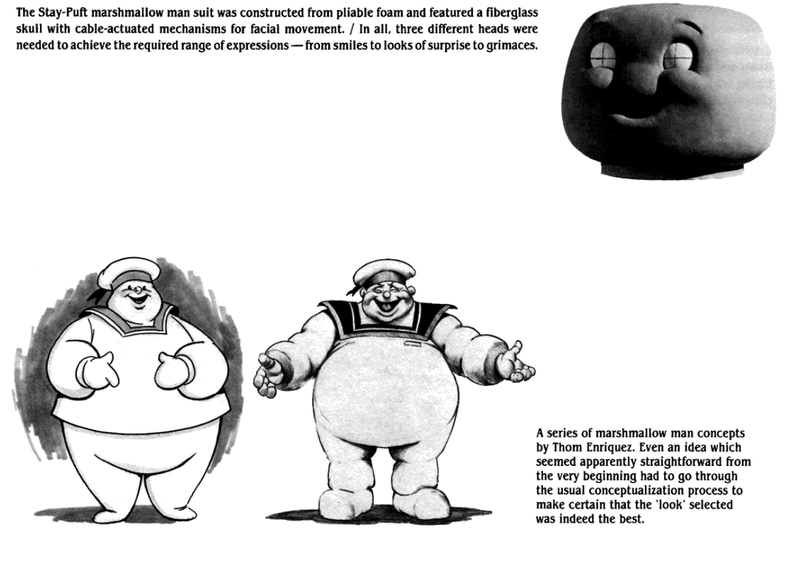 Here, he looks a bit like a California Raisin. 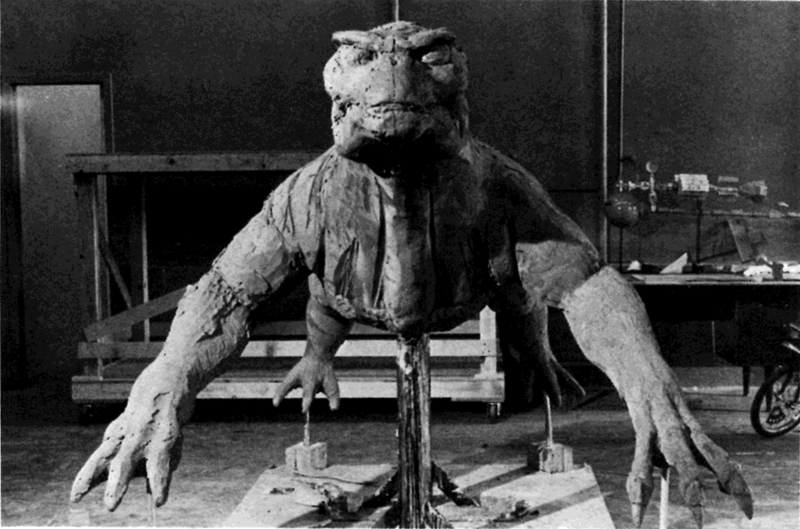 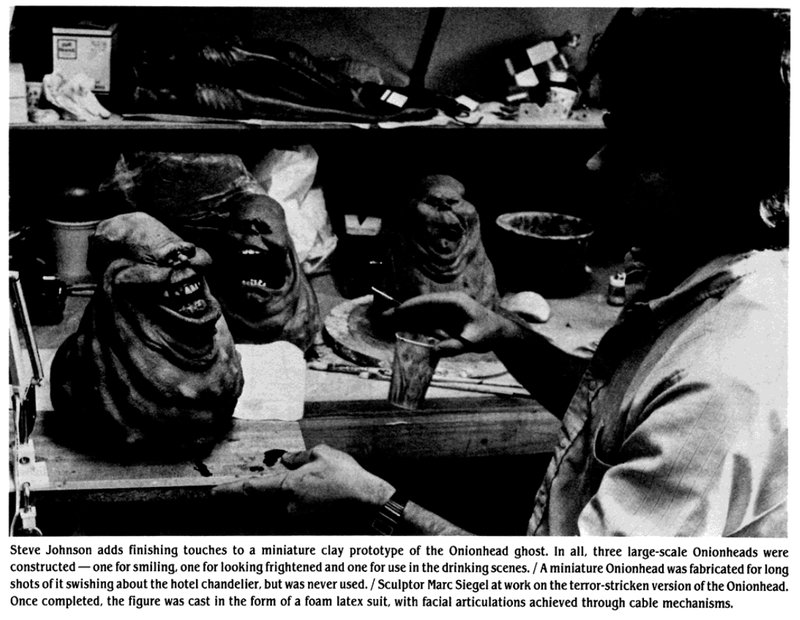 Three models of Onionhead/Slimer were created for the hotel sequence. 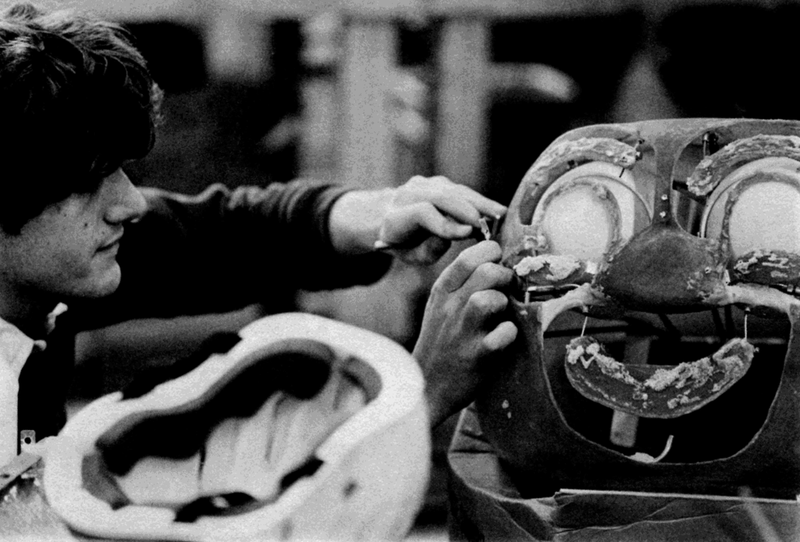 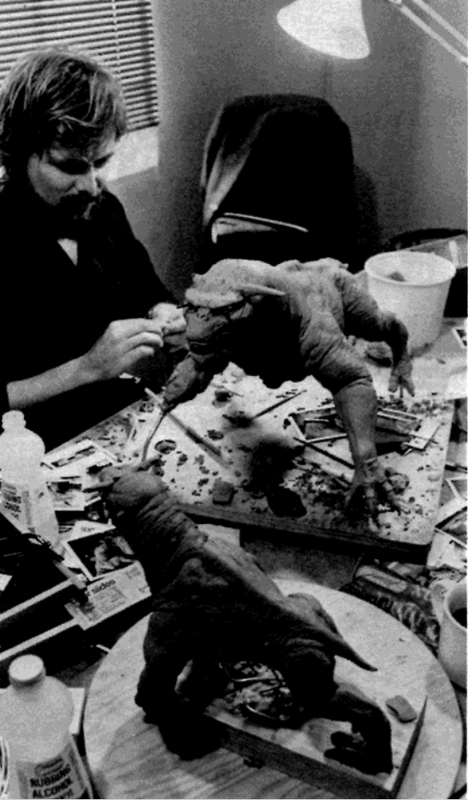 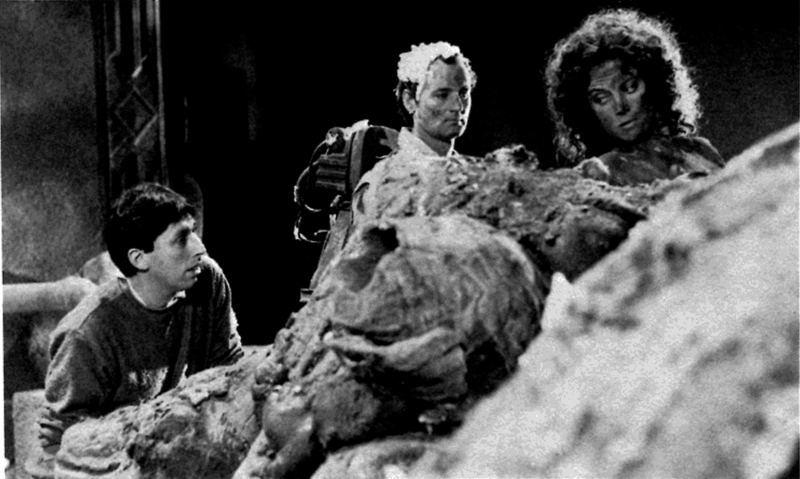 Crew members actually operated Onionhead/Slimer like a puppet. 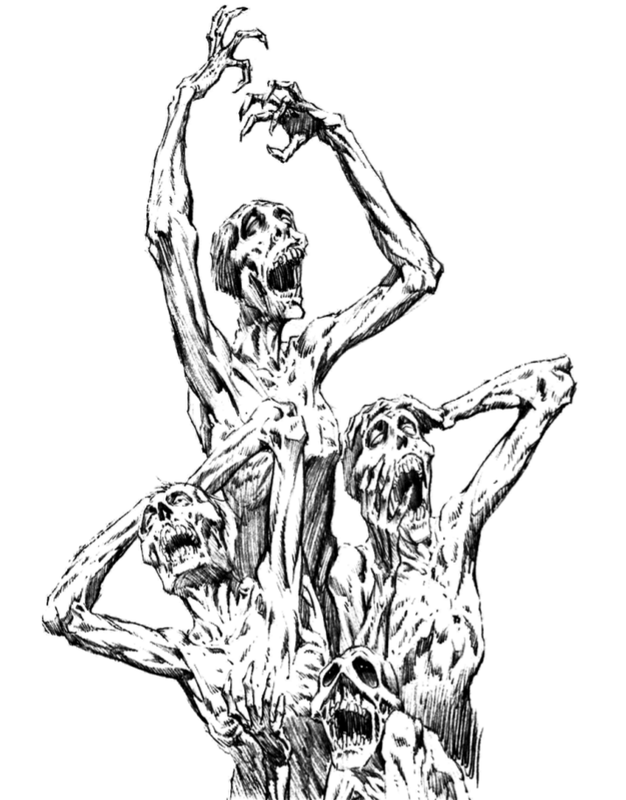 This creepy ghost -- created by Italian comic book artist Tanino Liberatore -- was sadly left on the drawing board. 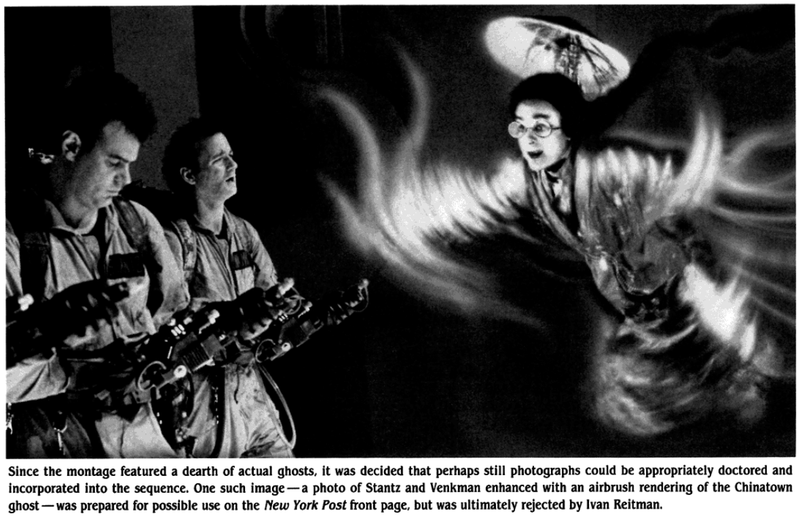 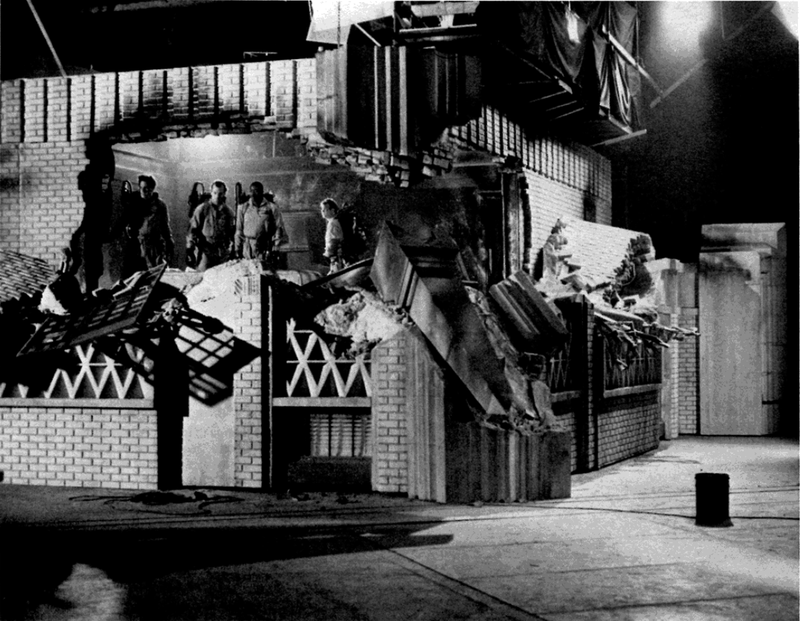 This photo of Stantz and Venkman battling a Chinatown ghost was intended to be used for a NY Post cover in the ghostbusting montage sequence. 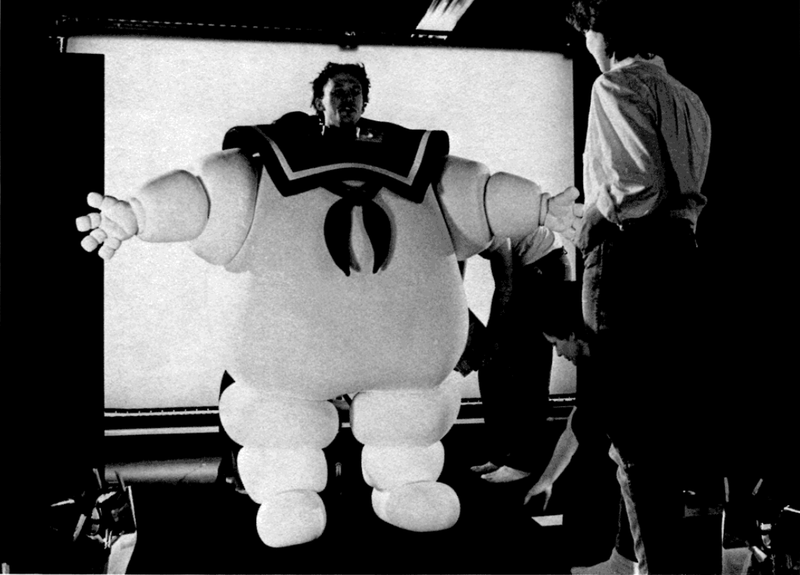 Director Ivan Reitman ultimately nixed it. 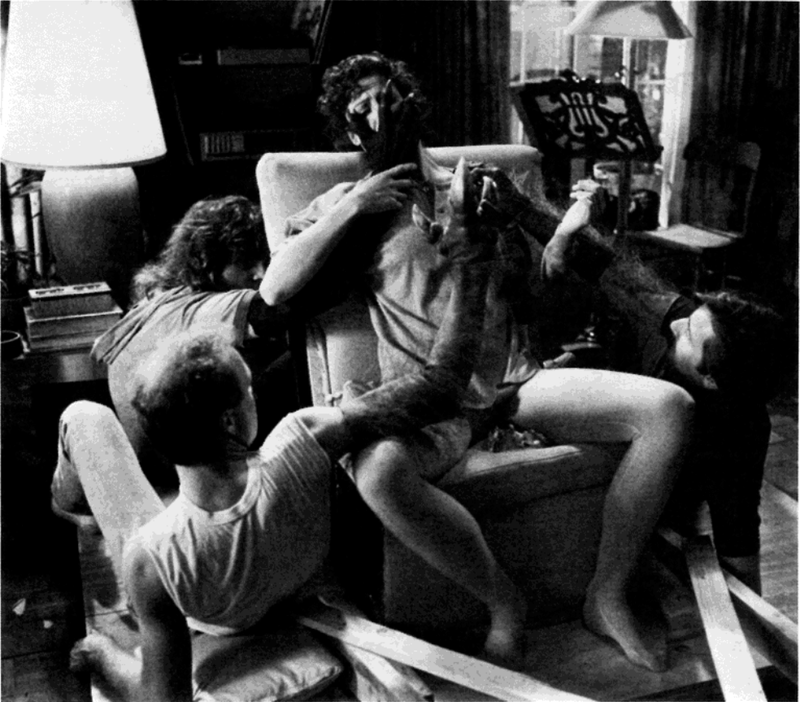 Some freaky shots from the scene where Dana Barrett (Sigourney Weaver) is abducted by Zuul. 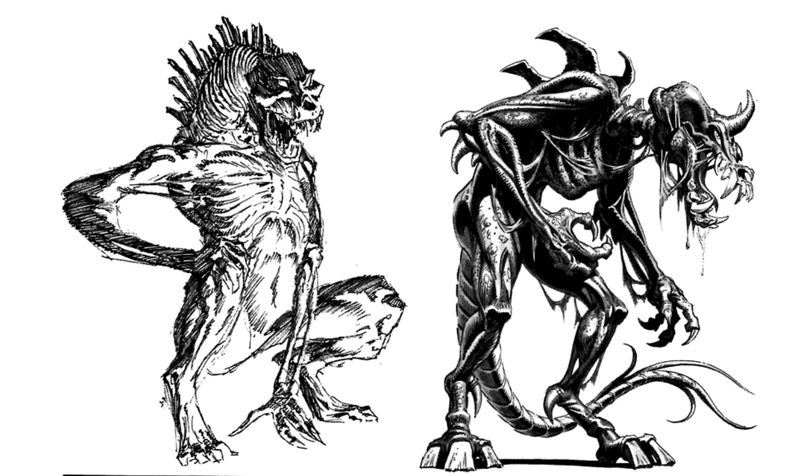 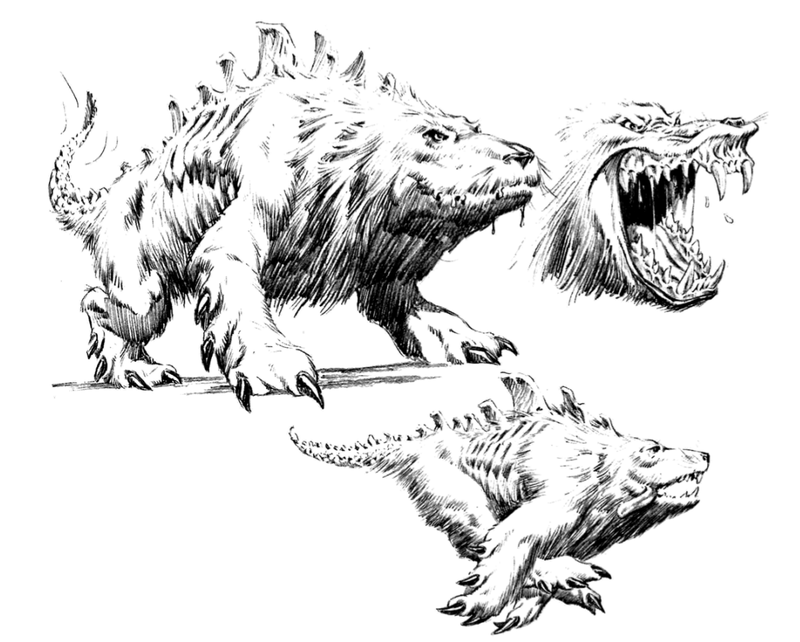 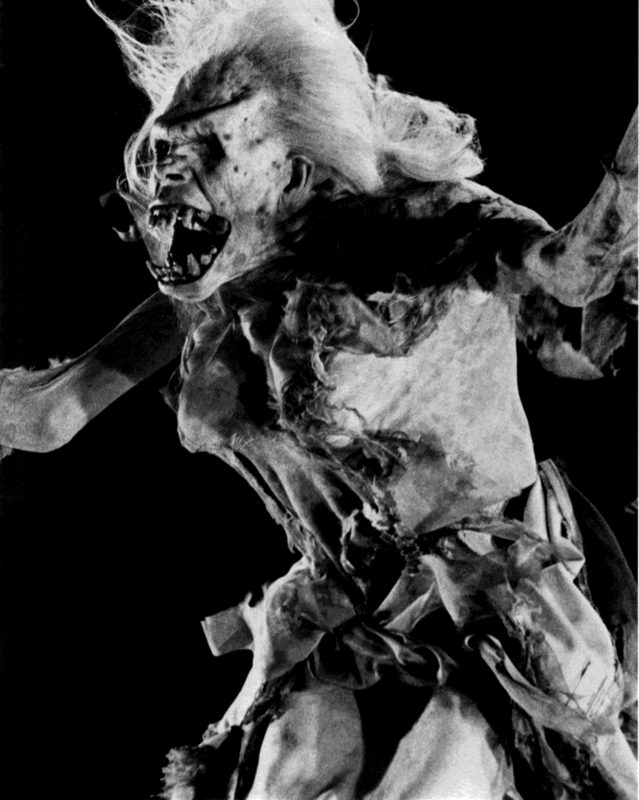 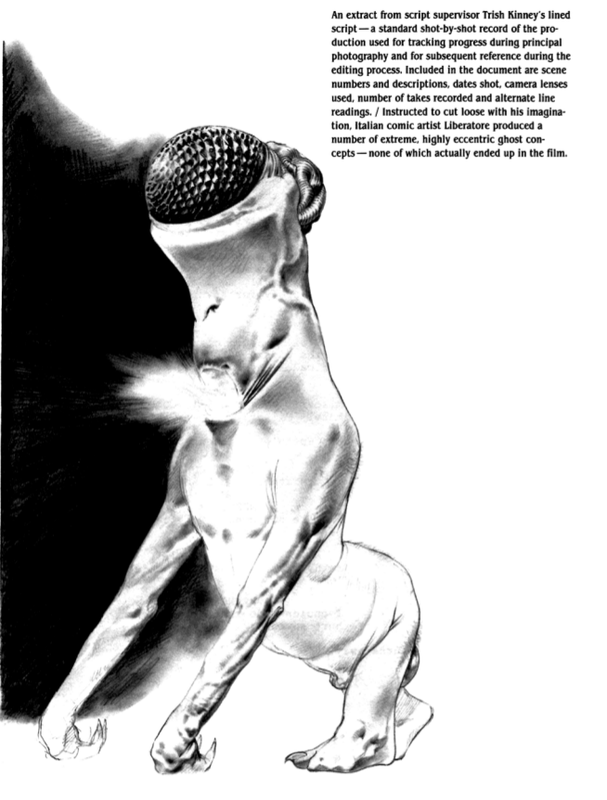 The design of the Terror Dogs went through many changes, as evidenced by the artwork below. 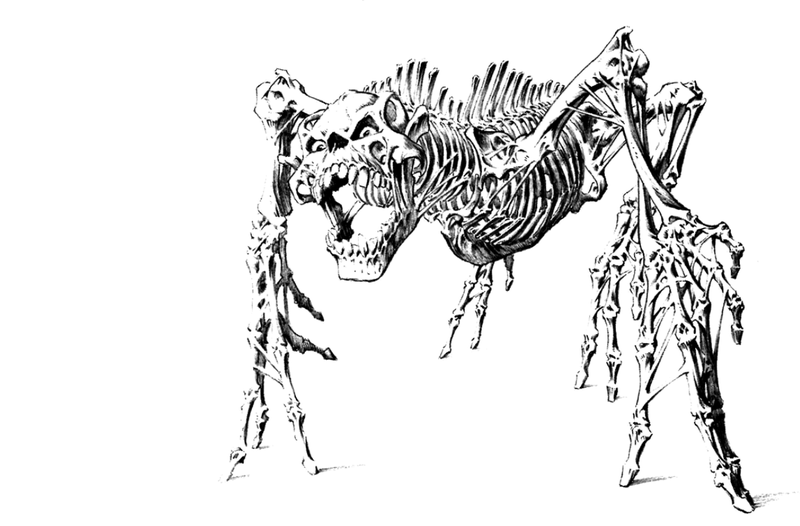 Artist Robert Kline created some Terror Dogs that were more comedic/kind of adorable. 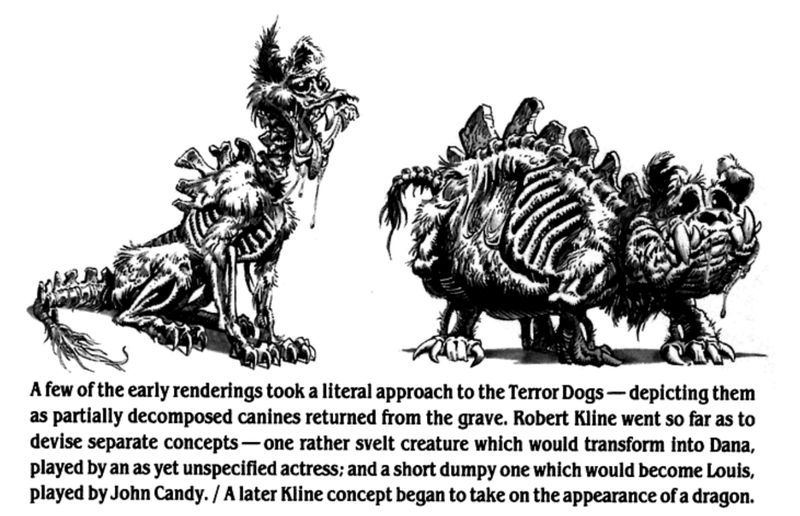 Had the filmmakers gone with this take, John Candy would've played the Louis Terror Dog. 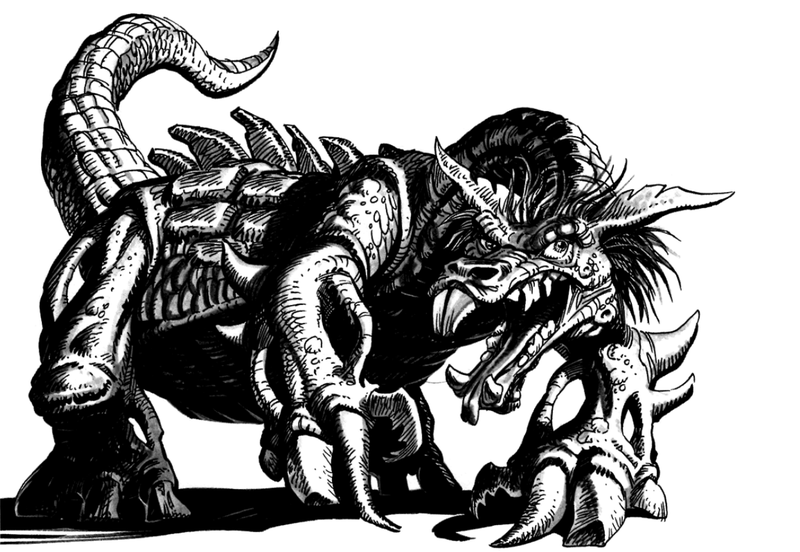 This one looks a bit like Pete's Dragon with rabies. 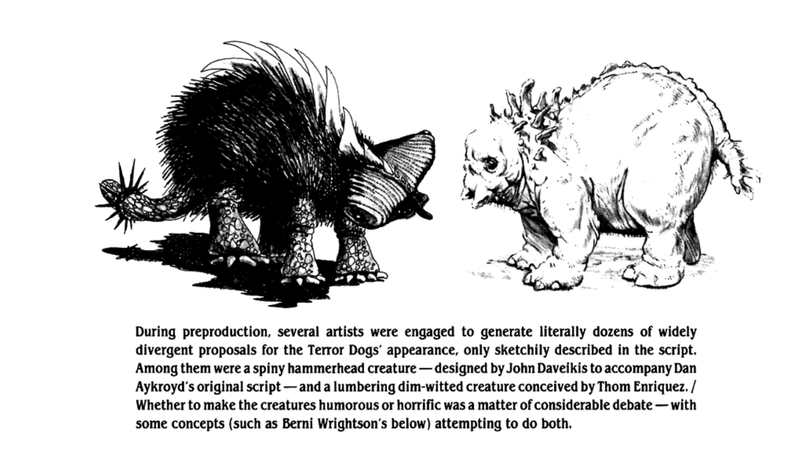 Ultimately, artist Thom Enriquez created the version of the Terror Dogs used in the film. 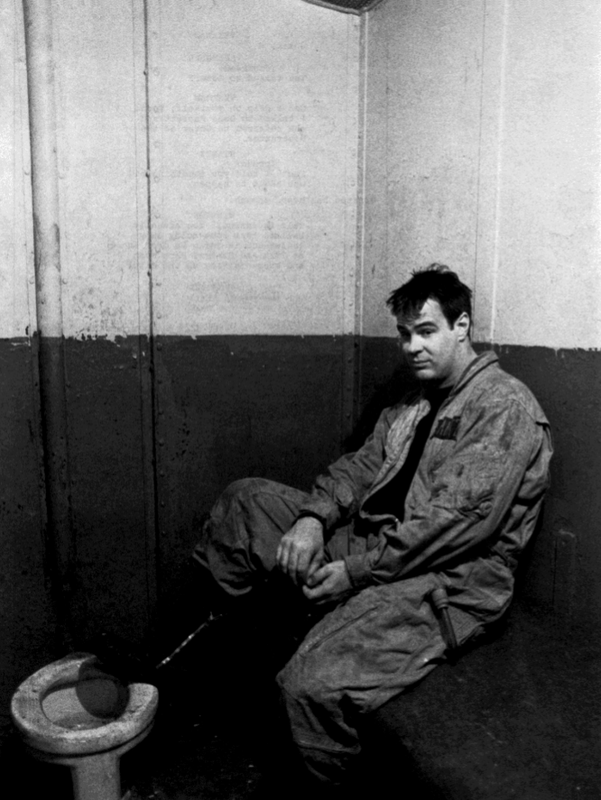 In one deleted scene, Ray (Dan Aykroyd) encounters a Dream Ghost in Fort Detmerring. 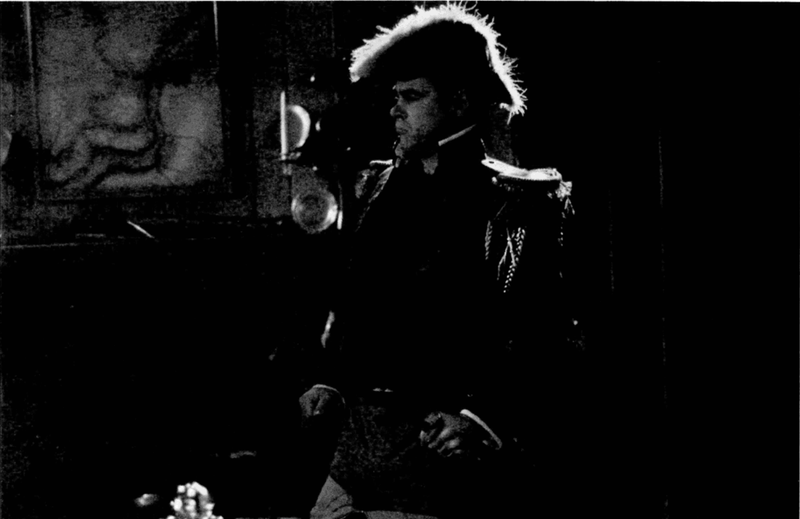 He also tries on some period garb for some reason. 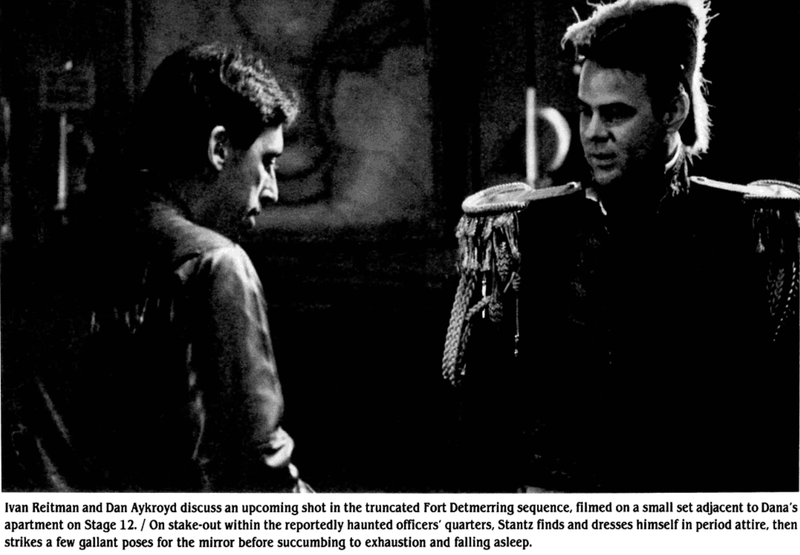 Ray strikes a pose in Fort Detmerring while Winston waits outside. 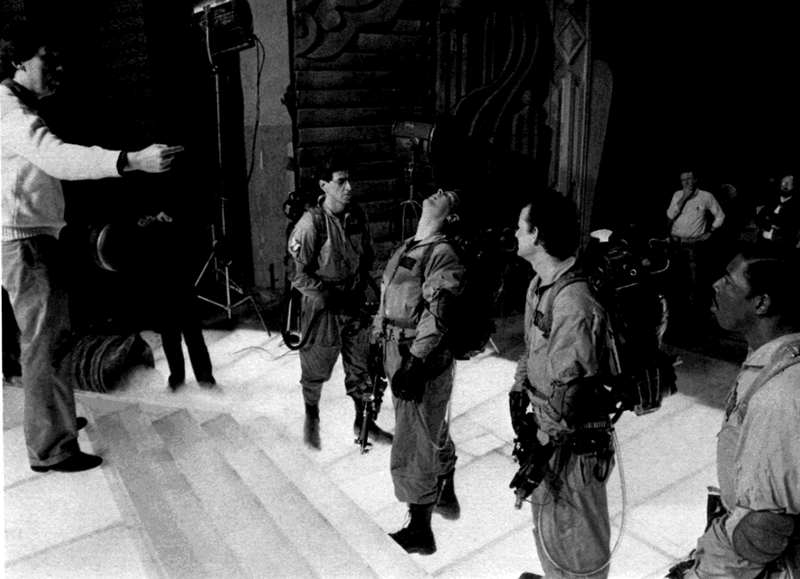 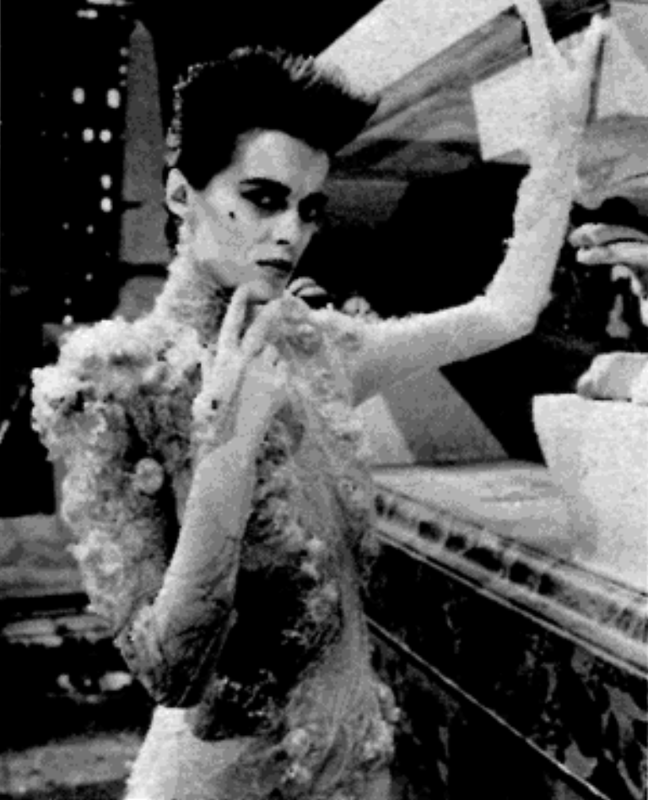 The sequence was cut, but the Dream Ghost turns up in the ghostbusting montage. 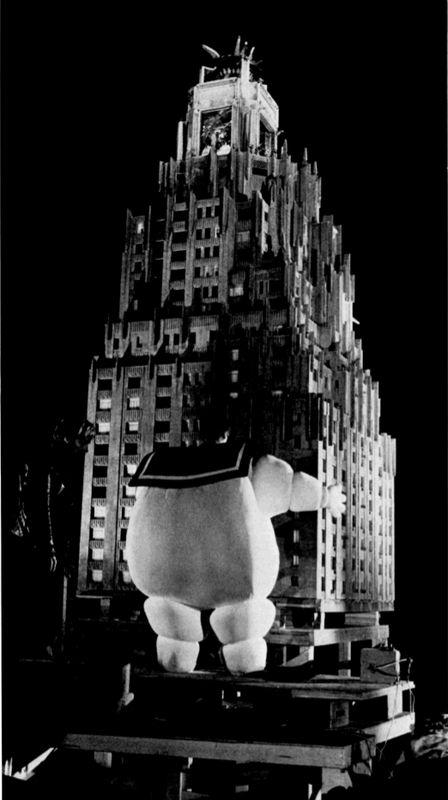 It took several design passes to get the Stay Puft Marshmallow Man right. 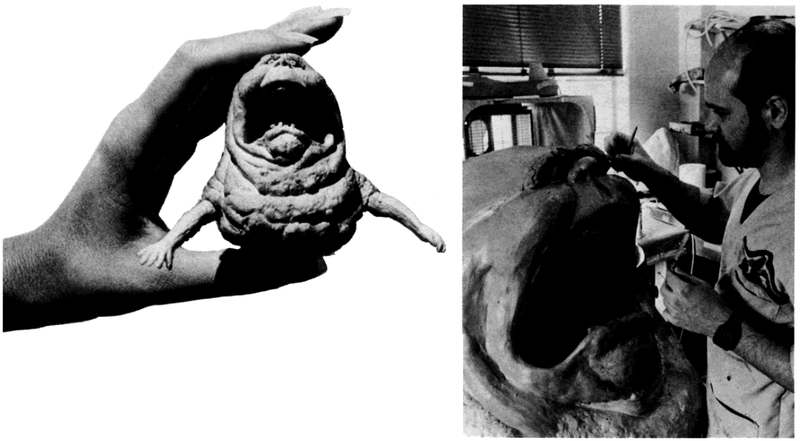 The process of bring the jolly sailor marshmallow to life is pretty mind-blowing. 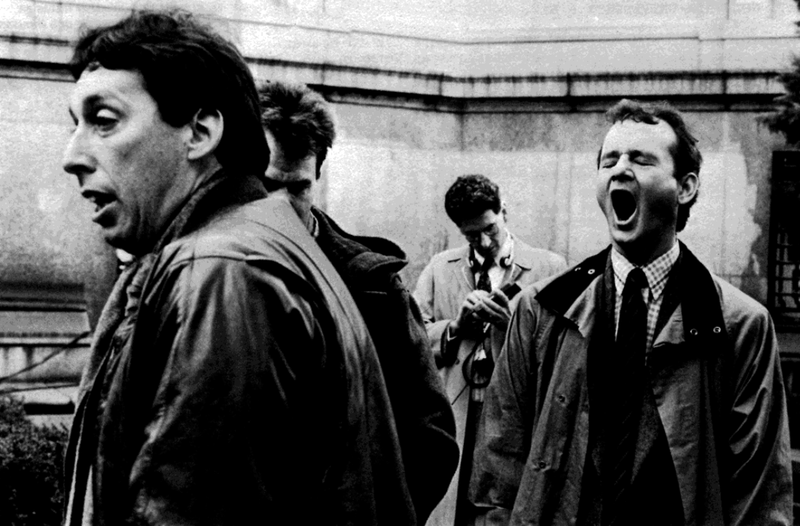 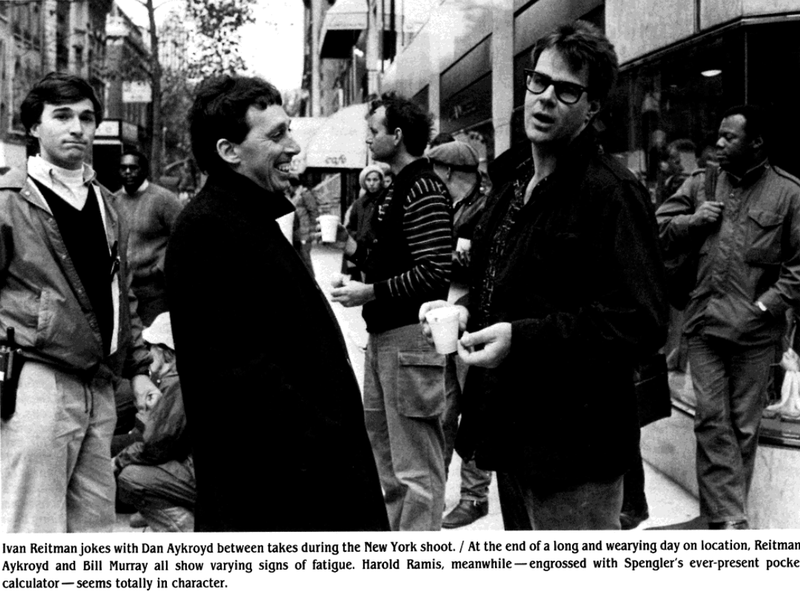 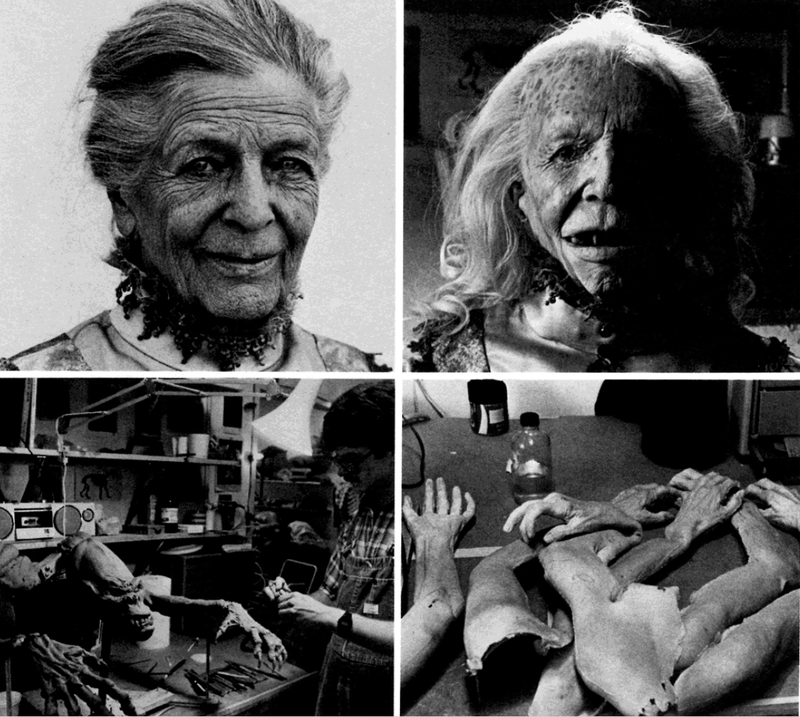 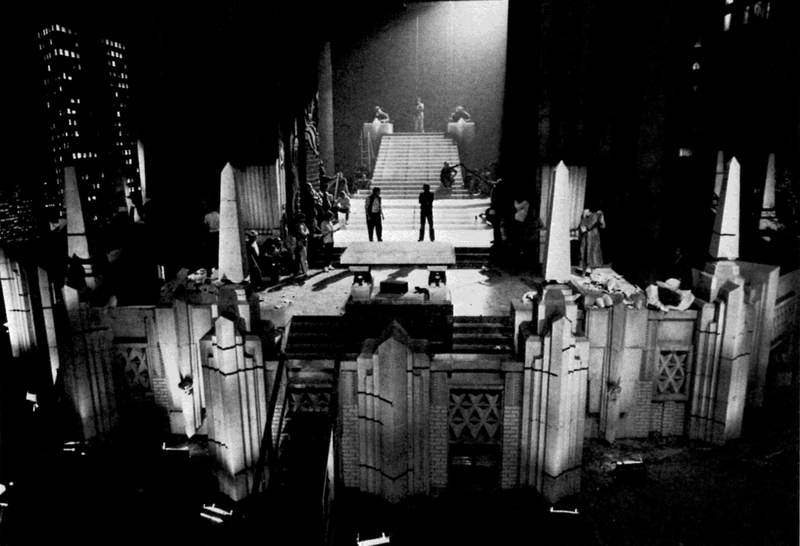 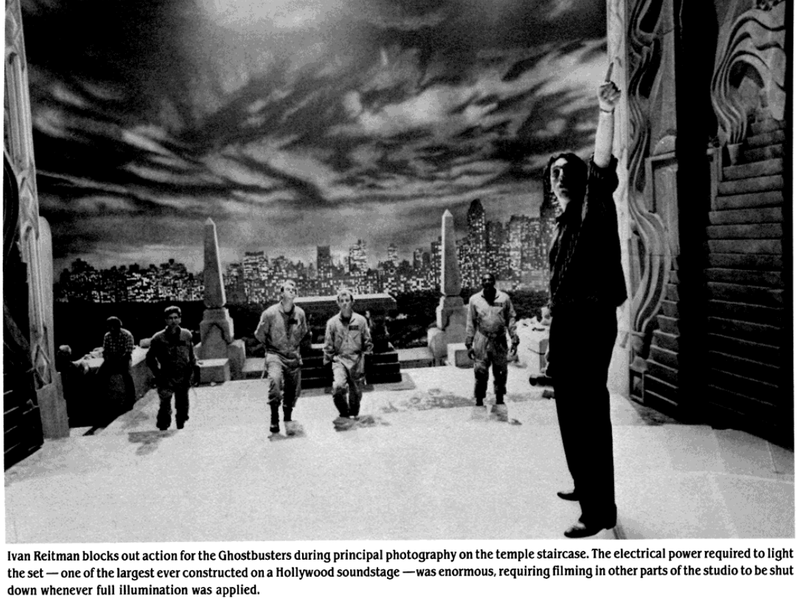 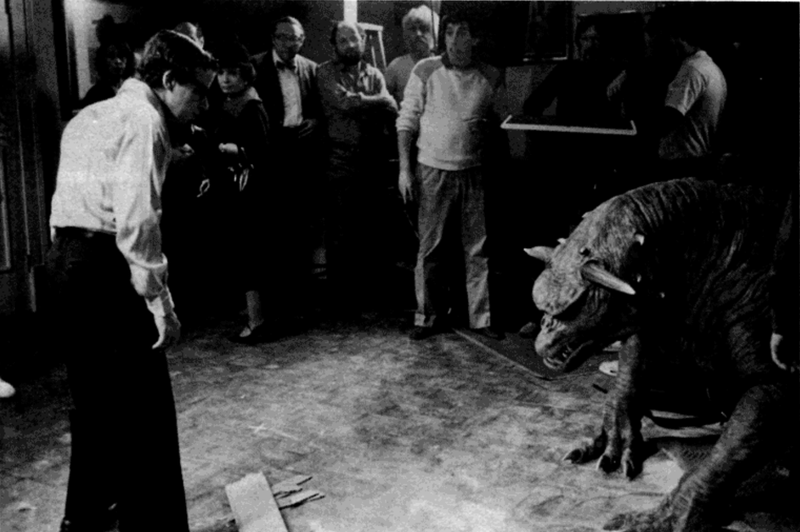 Check out more behind-the-scenes shots from Making Ghostbusters here.